Paul hails from Blacktown, Sydney, Australia. 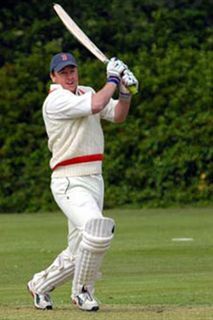 He joined YM after a spell with the Phoenix Australian XI in the Phoenix Park. Quickly coming to his senses he made his way to Claremont Road in 2005. A genuine all rounder he has contributed quite a few match winning performances in his brief career as a YMer. Rob & Beaco having a Barbie! "It's all in the grip"
"Would have been out at Jim's end"